← Dental Crown: 5 Reasons to Get One Now! Establishing a good dental hygiene is the basic way to keep your mouth healthy. Not to mention, it’s the simplest and cheapest tactic. Make it a habit to brush and floss properly. When brushing, make sure to tilt the bristles 45 degrees against the gum line. Brush each surface of the tooth as wells as the tongue. Get rid of remaining plaques deep between the teeth with a floss. Gently curve the floss around each tooth moving it up and down. What you put inside of your mouth affects your dental health. Keeping track of what you eat and drink helps lessen possible damage. To avoid developing tooth decay, limit consumption of sugar-crested foods and drinks. To lessen teeth discoloration, reduce drinking artificially colored beverages. These small lifestyle changes will have a huge impact on your dental health. Visiting a dentist regularly costs money. There is no arguing that. However, if you look at its long-term benefit, visiting our dental care in Sterling Parkway Lincoln CA can help you save money. 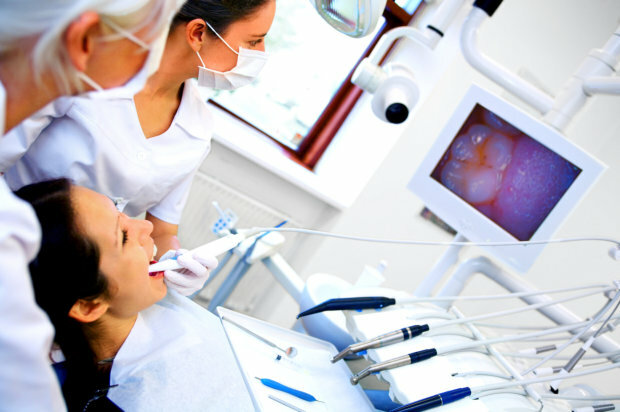 Check-ups cost nothing compared to what you have to endure when getting dental treatments. With regular dental check-ups, we can monitor your condition and help prevent serious problems from occurring. Dentures, implants, and other remedies are profoundly expensive. Preventive measures will always be cheaper than the cure. For prevention dental care in Lincoln, CA, visit Tooth Spa Dentistry today. This entry was posted in Dental Cost and tagged dental check-ups, dental health, dental treatments. Bookmark the permalink.